It’s actually worse than that, haha.. remember it’s annuity, you shouldn’t take into account only the interest, it eats into your capital too..
i think you can’t just compare an annuity that way. that is my understanding. Because i did a calculation like that before and my thoughts are if you live 10 years its gonna be very luggy. At the end of the day you are suppose to channel part of it, transfer the risk to the insurer for a PREDICTABLE SUBSISTENCE amount. well done! 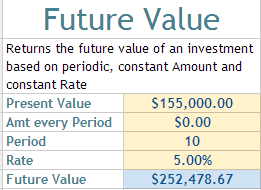 i must confess i never really think through interests rates for teh annuity but i have not reached that stage yet. i noticed the peope my age (early 30s) are mostly up in arms over the fact that their monies are kept locked away from them and they cannot choose to spend it if they wish to. How many repeated mistakes are going to make! CPF has already disclosed that the effective yield will be between 3.75% and 4.25% for the entire CPF Life scheme. Ah i wasn’t aware of that. Let me know if I made mistake in my calculation. Thanks! 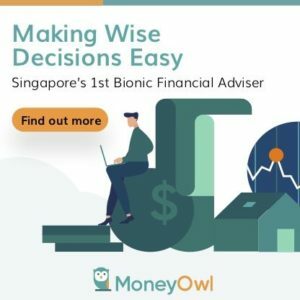 You have to understand that the purpose of an annuity is seldom about calculating returns, but the purpose of ensuring that you do not outlive your money. Pls do take note of the “up to” clause. The rate of 5% is given to the FIRST 60k in the savings.. and NOT the full amount. When was the government so generous to us? The “up to” is just a marketing strategy, where you are invited to sales with “up to” 90% discount and our government then provides a perception of being generous with the interest rate.